Skincare is my favourite thing. I may fall out of love with makeup but the lure of serums, oils and the various new ingredients never fail to attract me to skincare. The reasons behind this are both therapeutic and forward-looking. 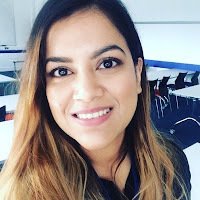 Looking after my skin gives me the sense of looking after myself and that much needed 'me time' that is almost impossible to get in our busy lives and the forward-looking aspect being, investing in my skin. I'd like to look back in 20 years time and thank my younger self for the skin I have. I thought rather than doing a ‘skincare routine’, I’ll share the ‘categories’ of skincare I use on rotation and share some of my favourites with you. I'll share them in order of how I use them i.e. remove makeup, cleanse skin, etc. Through the duration of 2016, my skincare products have remained more or less the same. I’ve trialled new products but my basic skincare regime has been constant. My initial step is always removing my makeup. It’s the first thing I do as soon as I get home, can’t wait to just get it all of my face and relax! The easiest way I’ve found to do this is oil cleansers. They melt makeup away without any scrubbing or dragging your skin. Oil based cleansers make it really easy to remove makeup as most makeup are oil based (most being the operative word). 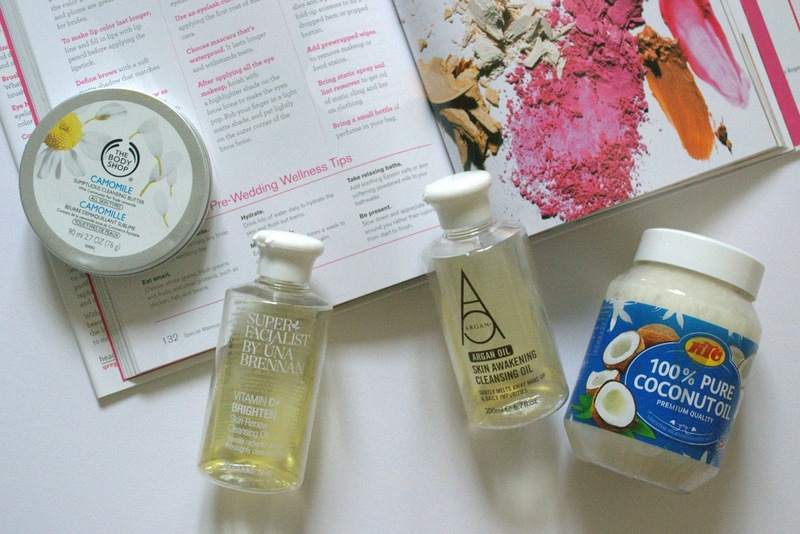 The great thing about oil cleansers are how affordable they are! You don’t need amazing ingredients as they are removing makeup. So I never spend a lot of money cleansers I use to just to remove makeup. If you’d like your cleanser to be in liquid form that smells pleasant – try Superfacialist Vitamin C+ Skin Renew Cleansing Oil (£10.99). It smells citrusy, fresh and does what it says on the tin. I picked this up probably a year ago, and I use this pretty much every day. It lasts ages and is frequently on offer at Boots. You can’t go wrong with this! 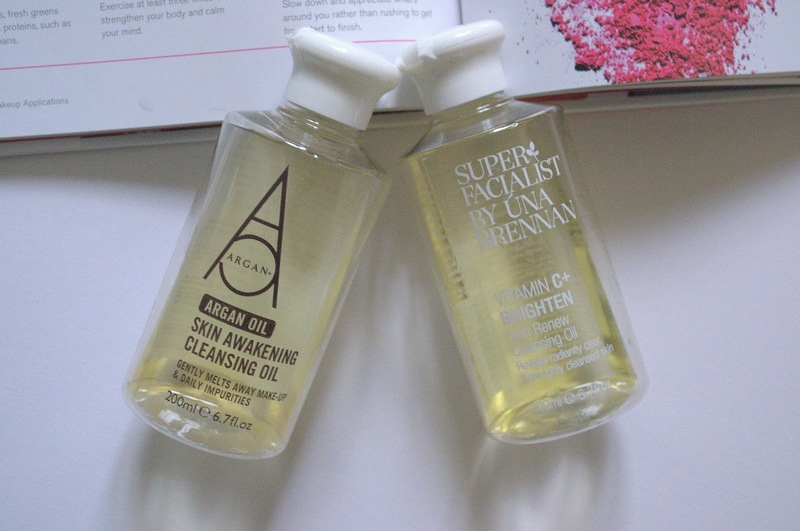 Another similar product is, Argan+ Argan Oil Skin Awakening Cleansing Oil (£10.99). It does exactly the same thing as the Superfacilaist and has a pleasant fragrance too. It’s available at Feel Unique for those of you who can’t access Boots. 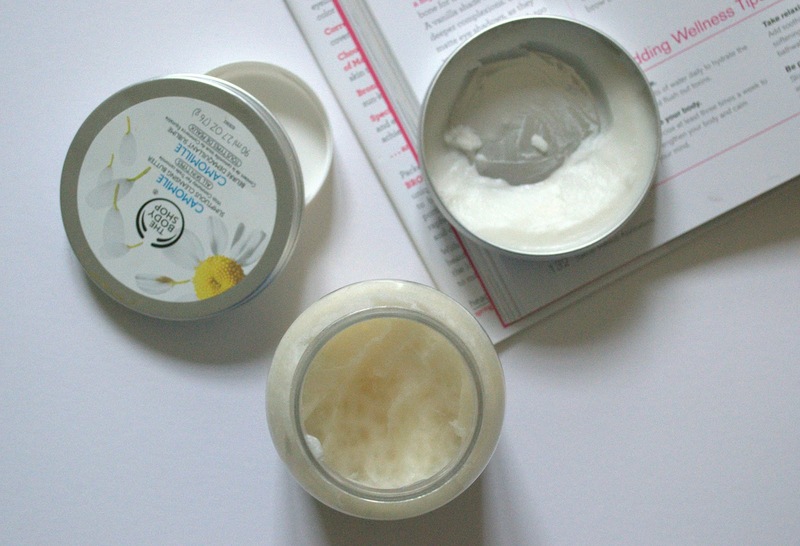 When I’m travelling, The Body Shop Camomile Sumptuous Cleansing Butter (£10) is always in my travel bag. As you apply it to your skin, it melts to an oil and melts all your makeup off your skin. Due to its solid form, there’s no leakage and it’s compact to travel with. You can use it every day too if you don’t want any spillage issues with liquid oil bottles. The scent is lovely and the camomile isn’t overpowering at all (take it from someone who doesn’t like camomile!). The most affordable option of them all is Coconut oil. I buy the KTC 100% Pure Coconut Oil (£2.25). You get a humongous 500 ml tub that takes forever to finish! I use it for my hair, rough patches on my skin and to take my makeup off. It’s unscented and has no other chemical ingredients that can irritate your skin. Basically the best thing ever. For travelling, you could decant some in a tub and take it along with you – it’s solid in cool room temperature, but will melt when in warm. What’s your favourite product to remove makeup with? Have you tried any of the products I’ve mentioned? 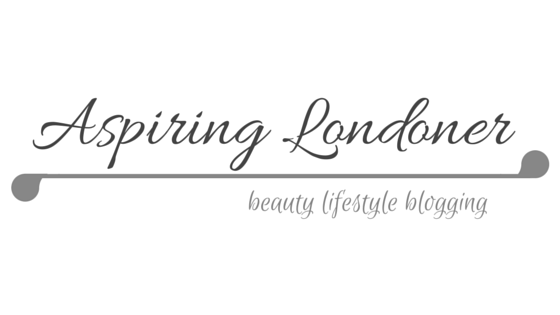 Share some recommendations in the comments below or tweet me @aspiring_london!